NOT long now until boat owners all along the Thames will be turning their thoughts to a new coat of anti-fouling and putting their pride and joys back in the water for another season of cruising up and down our lovely waterway. 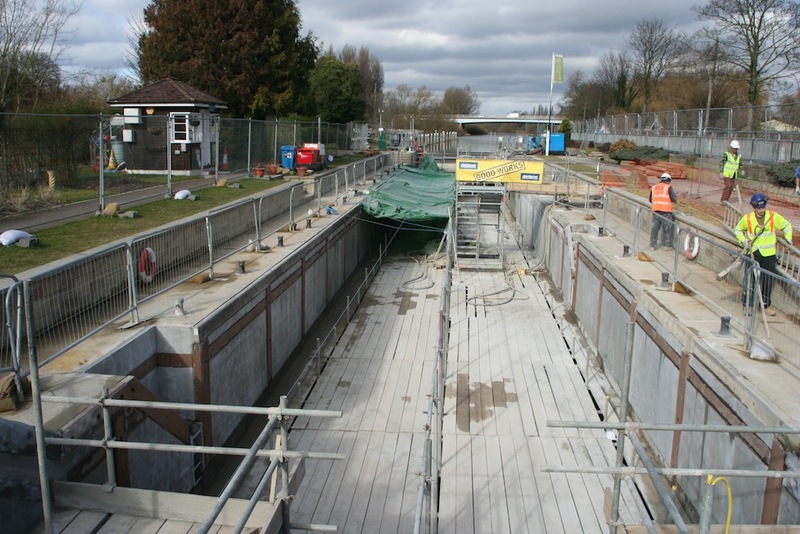 And to coincide with the approaching spring, the Environment Agency invited me down to take a look at the refurbishment work which has been taking place at Chertsey Lock over the winter – and which has kept the lock out of action for nearly four months. But what a makeover the old lock has had. It was first built in 1813 by the City of London Corporation who were trying to solve an age old problem for boats navigating the river caused by the shallows, known as Laleham Gulls, just above the lock’s current position. A lock could have been built earlier but in 1810, the then Lord Lucan – an ancestor of the infamous runaway Earl – objected on the grounds that it would spoil the view from his manor house so Parliament obligingly agreed that it had to be built further downstream towards Chertsey Bridge. The lock was twice lengthened – most recently in 1913 – but at just over 200 feet in length and 21 feet wide it is by no means one of the biggest on the non-tidal Thames. 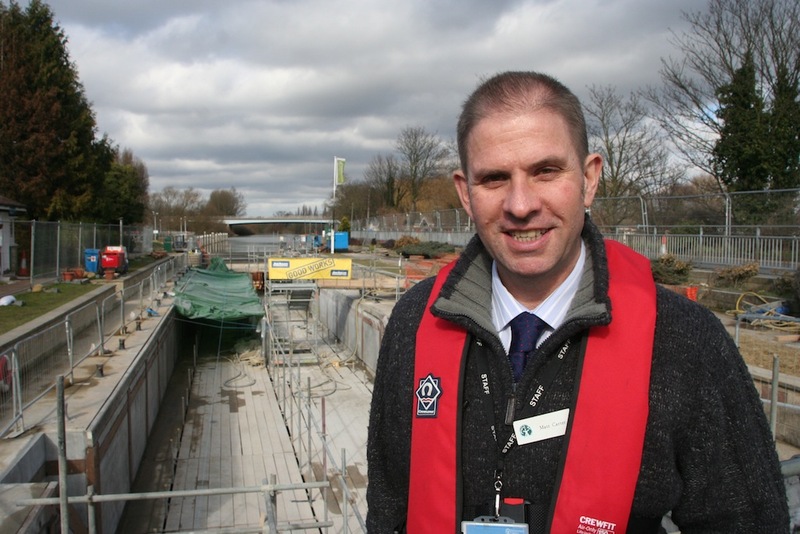 Environment Agency Thames Waterways Manager Matt Carter, the man responsible for overseeing the current £600,000 refurbishment of Chertsey Lock, says the work currently being done will give the lock a new lease of life for at least another 20 years. Wear and tear from both boats and the action of the river had eroded parts of the old lock chamber walls so after building dams at either end of the lock and draining it, EA contractors removed all the old material, fitted new hardwood timbers and then went through a process called ‘guniting’ which involves spraying a special concrete powder mixture onto the lock floor and walls so that now they look as good as new. Hear, hear to that – I can’t wait to get in the boat and try it out! Where’s all the boats? 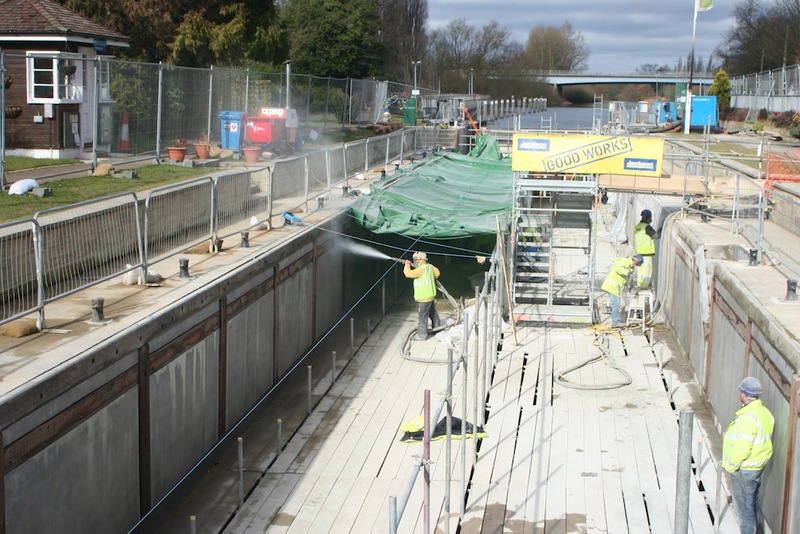 The emptied lock chamber should be back in use by mid-March.